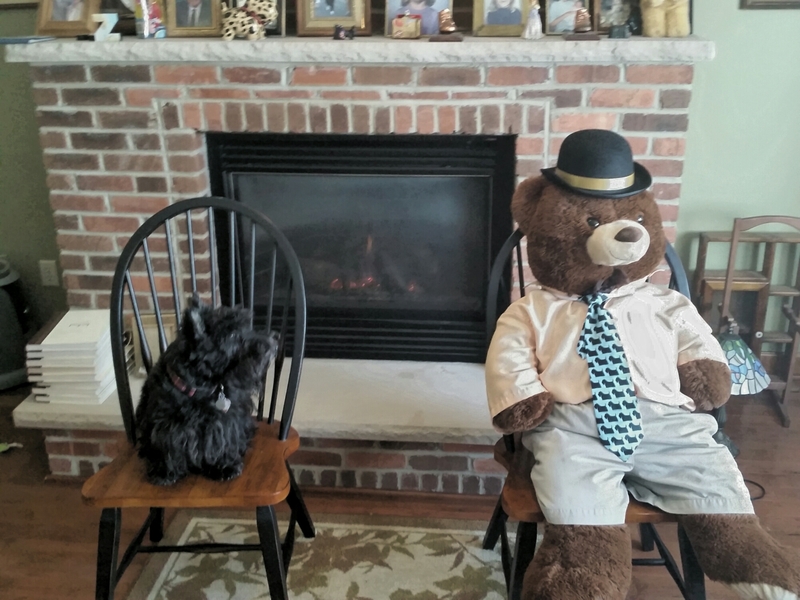 Me and Mr Bear sitting in front of the fireplace trying to stay warm this morning. Negative eight degrees Fahrenheit outside and our furnace quit working. My sister, Ainsley, who fancies herself quite the Scottie of Science, says it is a pressure switch failure based on her analysis of the fault codes, and she would fix it except she has no tools, no spare parts and no opposable thumbs. Repair man came and said it is a clogged outtake condensate line. Ainsley is such an idiot. Next Post LOST (Faux) SCOTTIE DOG!!!!!! Brrrrr, hope ya get dat fixed. At least Ainsley came up with a cause, even though it was wrong. Are you warm once more? I’m glad you got your furnace fixed, Angus. As for Ainsley’s theory, you know it takes repeated tests and studies to arrive at an accurate conclusion. Plus her lab was probably freezing. Well, we would tend to believe Ainsley, you know a Scottie is never wrong….we bet that guy just storied you to cover his rear and chage more! I didn’t exactly see Mr Bear falling about and offering to help. Good on you Ainsley for halfway trying. What were you doing at the time Sgt Angus ? Just saying ….